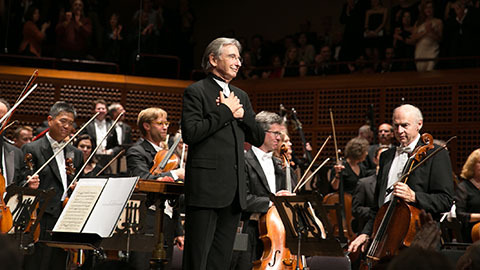 The San Francisco Symphony has eight satellite groups called Leagues, located throughout the Bay Area, which support the organization through their fundraising, audience development and community awareness activities. The Leagues are part of the Volunteer Council of the San Francisco Symphony. Each League has its own signature event and most convene on a monthly basis for social, educational, philanthropic and music related meetings. League members are given opportunities to serve on various committees both in their League and in the Volunteer Council. Members pay a yearly membership fee and receive a variety of benefits beyond membership, including discounted Symphony tickets and advance notice of special events such as the Opening Night Gala and the Chinese New Year Celebration. Click on a Symphony League below for more information about each, including how to join. Located in San Francisco, the Junior Committee is the group that organizes and plans the Symphony’s Deck the Hall programs and Community Day Deck the Hall. The group meets monthly, early in the month, and recesses for the summer. This League meets in the North Bay and has members from Tiburon, Novato, Sausalito, San Rafael and beyond. The group has monthly meetings featuring educational speakers or musicians. This League meets in San Francisco in the evenings on a monthly basis. It is comprised of men and women from San Francisco, the East Bay, North Bay and South Bay, who enjoy music and support the organization through fundraising activities throughout the year. Located in the South Bay, this group’s signature event is an annual Symphony in Flowers gala dinner. The League holds monthly morning meetings in the South Bay. As the name suggests, this group meets in San Francisco and is known for its fashion show and lunch events. It meets monthly, either in the morning or afternoon. One of the newest groups, this League meets in the Silicon Valley area. Its bi-monthly meetings are held in the early evening. Targeted to young professionals (21-40), Symphonix members are invited to a mix of concert meet-ups at Davies Hall and offsite membership parties at locations throughout San Francisco. The Symphonix Board meets monthly and plans philanthropic opportunities for their members to enjoy and support the San Francisco Symphony. Comprised of members from the San Mateo, Burlingame and Cupertino areas, this group holds monthly morning meetings and raises funds to help local schools participate in San Francisco Symphony education programs. Required volunteer orientations occur every other month. The next orientation will be held March 12th at 6pm. Please email volunteercouncil@sfsymphony.org to sign up.